Despite initial results showing the New Right failing to enter the Knesset, Bennett remains hopeful that soldiers' votes will close the gap. 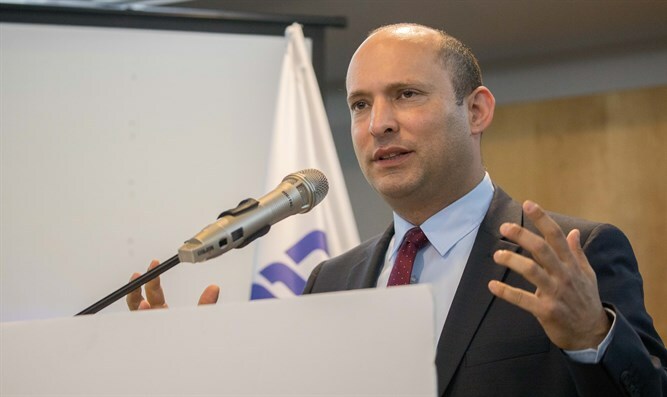 Education Minister and New Right party chief Naftali Bennett refused to concede Wednesday morning, despite initial election results showing his party failing to enter the 21st Knesset, expressing hope that the votes of IDF soldiers would put the New Right over the top. With 97% of the vote counted Wednesday morning, the New Right party – founded by breakaway Jewish Home members Naftali Bennett, Ayelet Shaked, and Shuli Mualem – had received just 127,503 votes, or 3.14% of all valid ballots cast. To enter the Knesset, a party must win 3.25% of the vote, equivalent to some 139,000 ballots in this year’s election, leaving the New Right roughly 12,000 votes short. With some 126,000 votes left to be counted, the New Right would have to win more than 9% of the remaining ballots, or three times its current share of the vote. Nevertheless, Bennett said he was still holding out hope that his faction would make it into the 21st Knesset.